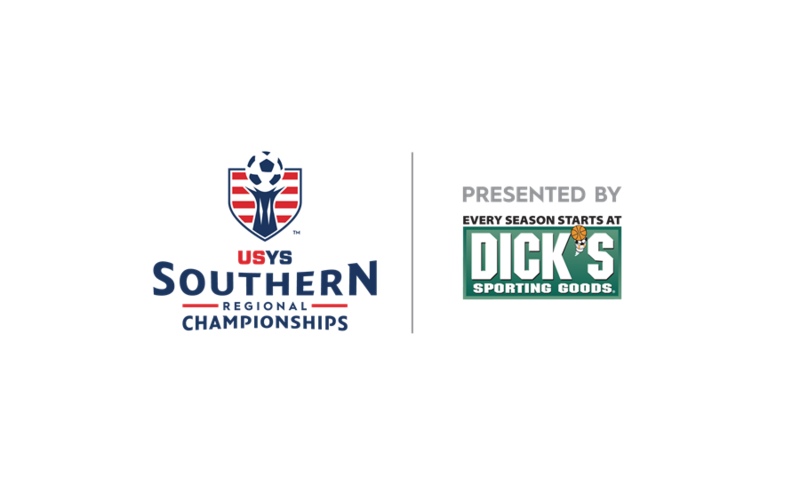 2016 US Youth Soccer Region III Championships continue in Greenville, S.C.
GREENVILLE, S.C. (June 25, 2016) — The 2016 US Youth Soccer Region III (South) Championships continued Saturday at the MeSA Soccer Complex in Greenville, S.C., and the Carolina FC Soccer Complex in Wellford, S.C. More than 200 games have been completed, and tomorrow’s action will decide the 104 teams moving on from the event’s preliminary round. Sunday’s matches begin at 7:45 a.m. ET and continue throughout the day with the final matches kicking off at 6:30 p.m.
Seeking players for future roster spots, more than 125 college coaches have registered for the US Youth Soccer Region III Championships, with more expected during the rest of the week. Year after year, the coaches enjoy the level of performance and urgency that comes when the teams play for advancement in the US Youth Soccer National Championship Series. For PTFC, this is the team’s third straight trip to the Region III Championships. A win on Saturday has the North Carolina side in a favorable position to advance out of its group. After semifinal and quarterfinal appearances in 2014 and 2015, respectively, the players are ready to once again show all in attendance — including college coaches — what they are capable of on the field. FC Alliance 02 (TN) remained in second place in the Under-14 Girls Group D standings after a scoreless draw on Saturday against VHSC Attack 02 Black (AL). Each team entered the game knowing it had a chance to earn three big points in the pursuit of a berth to the quarterfinals. However, neither side managed to break through, which worked to FC Alliance’s benefit, as the Tennessee side sits firmly in second place. Alliance still has some work to do, while group leader Florida Elite 01/02 (FL) has clinched its spot in the quarterfinals after a pair of shutout victories. Two early goals helped PTFC Lady Black (NC) pick up its first win of the week with a 2-0 victory over CSC Rage 00 (LA) in Under-16 Girls Group A action. The North Carolina side jumped out to a 1-0 lead in the 5th minute when Skyler Prillaman found the back of the net. It didn’t take long for PTFC to double its lead, as Shaylyn Owen struck just six minutes later to give her side a 2-0 advantage. PTFC’s defense made sure those goals held up, as the team recorded a shutout victory. Both PTFC and CSC are tied at 3 points in the standings, with PTFC holding a slight edge in goal differential entering the last day of group play. A late goal helped USA/MP 17 Premier (SC) secure a 2-1 win over Fury 99 (OK) to clinch a top-two finish in Under-17 Girls Group A. Alexis Sanders put Fury up with a 9th-minute goal before Lauryn Jennings pulled USA/MP even when she found the back of the net in the 33rd minute. The score remained level beyond the 90-minute mark, as neither team managed to grab hold of the game during the second half. But in stoppage time, USA/MP’s Bailey Champ directed a shot on goal following a corner kick and managed to slip it past the keeper for the game-winner. The win helped the South Carolina side keep pace with CR S Burgundy Rapids (NC), and the two will meet Sunday to determine the group winner. In Under-18 Girls Group B action, 98 Lady Lobos Rush Premier (TN) picked up its second win of the week with a 3-0 result against Arkansas Comets 98 Premier (AR). The Lobos took an early lead on an Alyssa Neuberger strike, and Jade Pearce doubled the advantage shortly before half with a well-place left-footed shot from the top of the box. Ashton White added a late insurance goal for the Tennessee side, which held on for the clean sheet to remain atop the group standings. Hat tricks from Miranda Caroline Weslake and Samantha Staab, a two-time National Champion with DMCV Sharks Elite (CA-S), helped CESA (SC) clinch a spot in the Under-19 Girls semifinals with a big win on Saturday. Meanwhile, all three Group A teams are tied at three points apiece after Tampa Bay United (FL) and 96 TFCA Alliance (NC) picked up victories on Saturday. In Under-14 Boys Group D, Sporting United 02 (TX-N) pulled even in the standings with MSC Lakers Elite (LA) thanks to a 4-1 win Saturday against the Louisiana side. Edgar Lopez scored in just the 2nd minute to give Sporting an early lead, but MSC bounced back in the 17th minute with a strike from Andrew Lassere. It didn’t take long for Sporting to regain its lead, as David Carreon found the back of the net in the 24th minute. Gibran Rayo extended the North Texas side’s lead to 3-1 minutes later, and he added a clinching goal in the second half to seal the 4-1 win. Sunday’s results will be key to determining which of the teams moves on from the group stage. VHSC Steamers 01 Black (AL) picked up an important 2-1 win over MS Rush 01 Premier (MS) to remain in contention for advancement out of Under-15 Boys Group A. After a scoreless first half, Price Leonard put VHSC in front in the 50th minute, but Rush’s Jeffrey Flathau quickly responded to equalize the score. In the 62nd minute, the Steamers’ Meyer Rudgers found the back of the net for what proved to be the game-winner. The Steamers need a result on Sunday against group leader WSA 01 White (OK) to have a chance to advance to the quarterfinals. Elsewhere in Under-15 Boys play, defending National Champion Houstonians 2001 (TX-S) clinched a spot in the quarterfinals with a 2-1 come-from-behind victory against Arkansas Comets 01 Premier (AR). The Comets jumped on the Houstonians early, and Ethan Stockdale gave the Arkansas side a 15th-minute lead with his first goal of the week. That lead nearly doubled, but Houstonians keeper Jose Reyes denied a 25th-minute penalty kick to keep his team within a goal. After Arkansas went down to 10 men late in the first half, the South Texas side equalized in the 50th minute on a well-struck half volley from Juan Rodriguez. Later in the half, Houstonians’ Abdel Galaviz split two defenders to get into the box and hit a shot with the outside of his foot that flew into the far corner to put Houston on top. Despite also going down to 10 men shortly after the go-ahead goal, Houston managed to hold off Arkansas to record the 2-1 victory. The South Texas side will meet TSCH 01 Miller (OK) on Sunday to decide which team finishes first in Group C.
United FA Premier (GA) has clinched a spot in the Under-16 Boys quarterfinals, as it looks to advance to its fourth straight Region III Championships final. UFA earned its berth to the next round by edging in-state foe Concorde Fire 99/00 (GA), 1-0, on Saturday in Greenville. The two teams are very familiar with each other and little separated them it the game. Auston Rodriguez’s 67th-minute goal proved to be the difference in the match, as United FA held on the shutout victory. Rodriguez’s tally is the lone goal Concorde Fire has allowed this week, as its defense has kept the team alive in Under-16 Group A play. 96 TFCA Alliance (NC) is atop the Under-19 Boys Group B standings following a 2-1 win against Barcelona 97 (TX-N) on Saturday. Grant Austin put TFCA up just before half to help his side gain momentum in the matchup of Day 1 winners. The score line remained unchanged until the 75th minute, when Edward Pinon III found the back of the net to double the TFCA advantage. Barcelona pulled a goal back through a Dominick Faletto strike in the 82nd minute, but the North Carolina side held on to secure the 2-1 victory. Regional winners of the Under-13 through Under-19 age groups earn a berth to the 2016 US Youth Soccer National Championships, which will be played July 25-31 at the Toyota Soccer Center in Frisco, Texas. 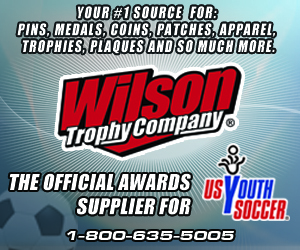 The US Youth Soccer National Championships will consist of US Youth Soccer Regional Champions in the Under-13 through Under-19 Boys and Girls age groups, as well as the US Youth Soccer National League qualifiers in the Under-14 through Under-18 Boys and Girls age groups to complete the field of 96 teams.